Deworming your horse is easier when you can choose the delivery method that works best for you and your horse. 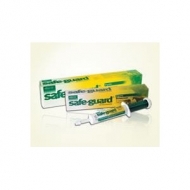 Safe-Guard (fenbendazole) is the only horse dewormer on the market today that comes in so many forms and sizes, yet is effective against most common intestinal parasites of the horse. 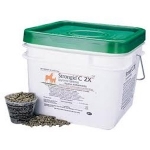 Strongid C/C 2X helps prevent parasite build-up on a daily basis which may lead to better nutrition, health, appearance and performance. Continuous dosing of pyrantel tartrate in the gastrointestinal tract, instead of a conventional program of deworming every 60 days that leaves horses open to reinfection. Intended as daily preventive treatment ideally complemented by twice-yearly purge deworming. Suppresses buildup of parasite burden during intervals between periodic deworming, while allowing low levels of infection that maintains natural host immunity. Reduces pasture buildup of parasite eggs, limiting exposure to parasite larvae. Particularly useful where stocking density is high, pasture rotation is impossible, or exposure is continuous. 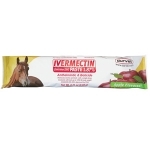 Safe for use in pregnant mares and foals.